I have spent the past few months being bothered and flustered with the heat and humidity that summer brought. Although it took me a little while to come around, I have turned the negativity into positive thoughts and decided to get excited for summer. There is a tag going around – a tag is a list of questions concentrated on one topic – about all the things one is loving about summer. In an effort to bring more summer spirit into my life, the following is me answering the questions. Maybe this will get you thinking about what you love about summer and get excited for this season! 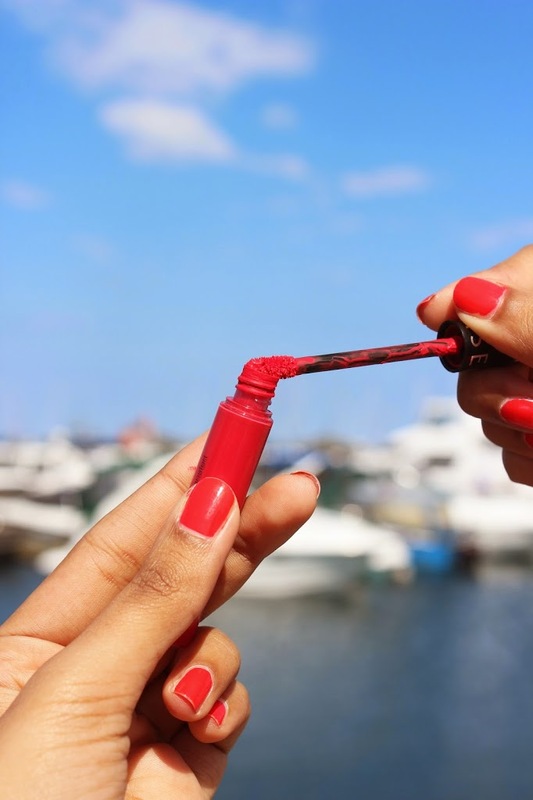 Summer nail polish you’re loving? OPI Cajun Shrimp. The name is just laughable and odd for a nail polish! 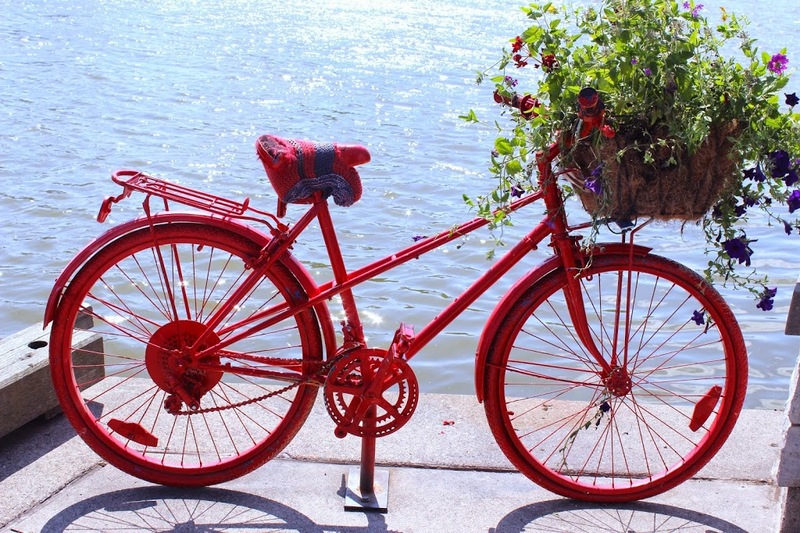 It’s such a great bright colour for summer without being neon or dull. Any colour that provides a contrast will look good on any skin tone, this is definitely one of those. A universally flattering colour. Sephora Rouge Volupte Cream Lip Stain in 03 Strawberry Kiss. A pink toned colour. It’s very easy to apply and does not transfer on to anything! Highly recommend! 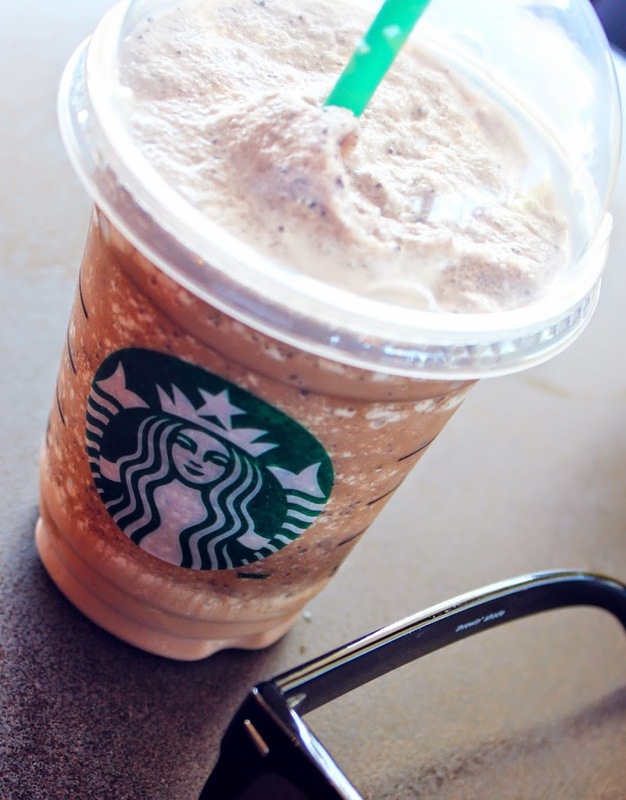 Starbucks Java Chip Frapp with no Whipped Cream. A nice treat! Not something I have regularly though. I tend not to go too overboard with summer clothing because I would rather invest in fall fashion. That being said, accessories are such a fun and affordable way to brighten up an outfit. The necklace I have been wearing regularly through summer is this bright gold and coral one from Forever 21. Sing by Ed Sheeran. I think this is a staple in everyone’s current playlist. It would not be a surprise, this song is incredible. 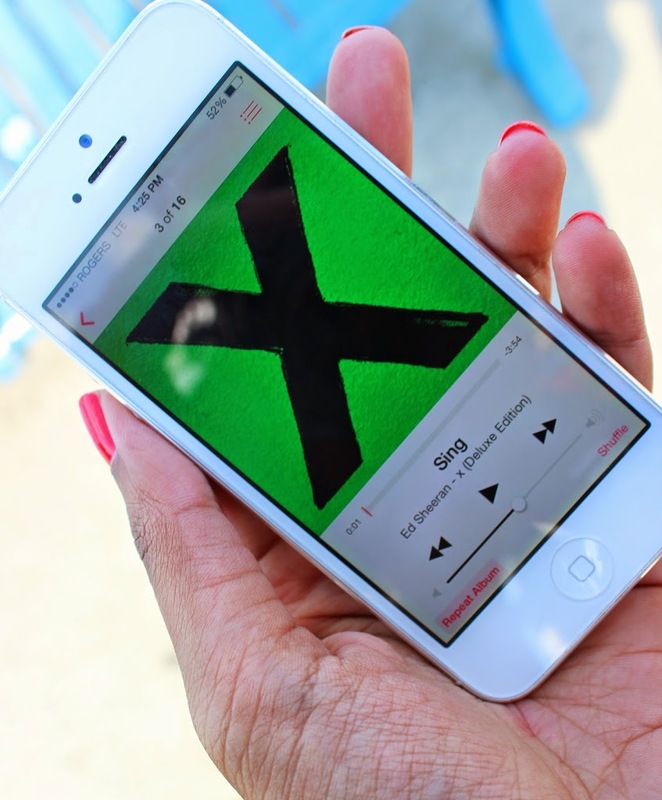 Infact, his whole new album ‘multiply’ is absolutely amazing. I have been listening to it on repeat! 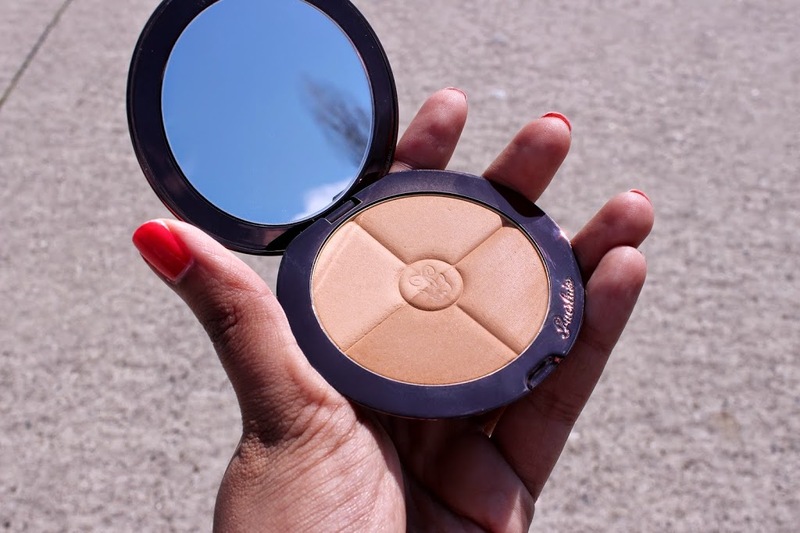 Guerlain Terracotta 4 Seasons Bronzing Face Powder in 03 Naturel – Brunettes. This colour looks so sun kissed on my skin tone without making me look muddy. It also has very very very little shimmer in it, you would not even notice it unless you intently stared. I like that because it does not make one’s face too dewy. 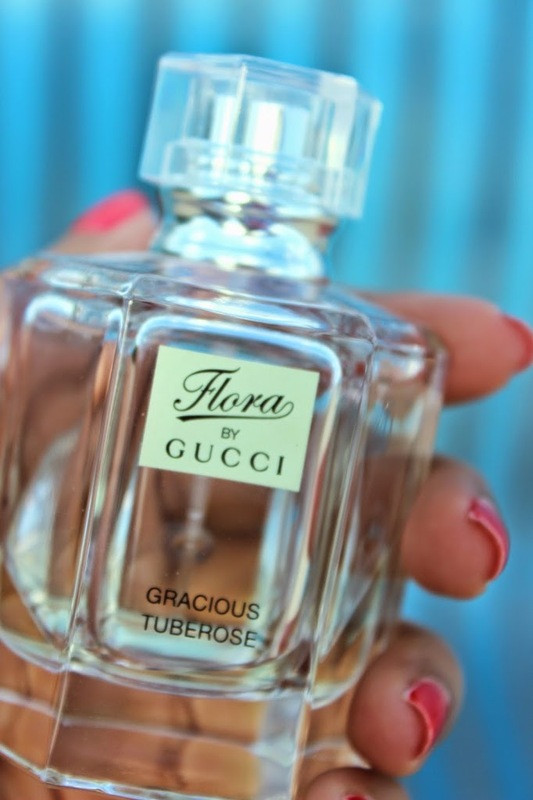 Flora by Gucci. I got this perfume duty-free at an airport and have had this for a while. As soon as spring started, I used it like it was my job. It is such a pleasant smell, not overpowering, and definitely floral as the title suggests. Fragrances with a Tuberose undertone to them are quickly becoming my favourite. What are you excited about doing this summer? I have actually already done the activity that I would consider I was most looking forward to. It may sound cheesy but spending time with my grandmother at various parks and gardens was one of the most rewarding experiences. What are you most looking forward to doing? 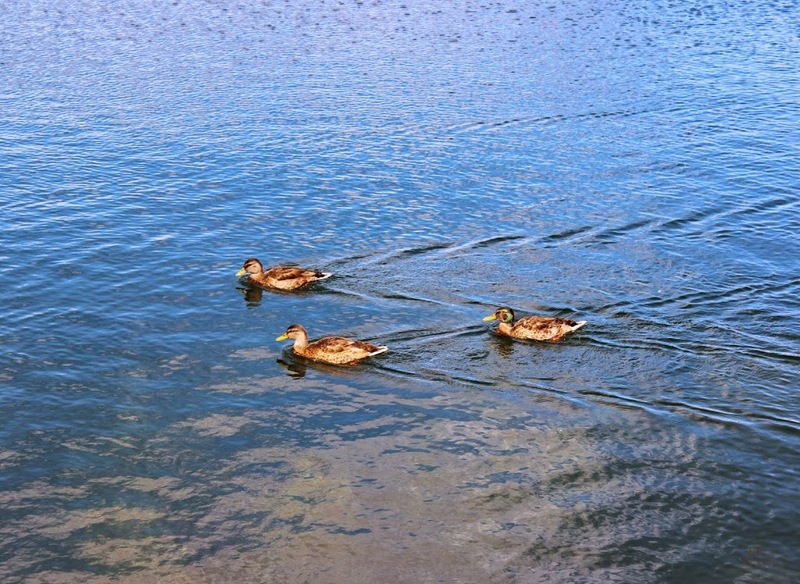 What are you loving about summer?